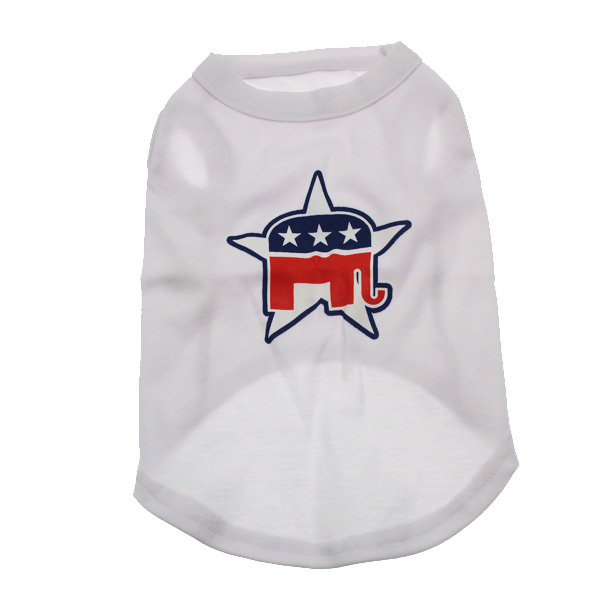 Show your support this election season with a Republican Party Star Dog T-shirt! We love the red, white, and blue elephant emblem on this simple white shirt. The Republican Party Dog Tank Top in White is a comfortable tank top made from 65% cotton and 35% polyester. The white material features a bold screen print that's perfect for supporting a cause. Republican Party Star Dog Tank Top - White Customer Photos - Send us your photo! Louie only votes Republican and enjoying the Fourth of July. "Land of the free because of the brave". Get out and VOTE! Posted On 05/28/16 by Lynne R from Holly Springs, NC Yes, Lynne R recommends this product! Love this shirt. 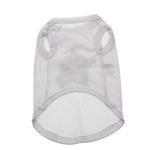 Good quality and fits as stated in the size chart! Posted On 12/16/15 by Brittni K from , MD Yes, Brittni K recommends this product!